Our School-age Programs are designed to be a fun, safe, and relaxing part of your child’s life. Ratios are low, and energy is high! We have many different options available. Choose the one that fits! 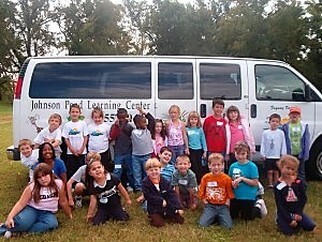 ​Before and After School Program: Our Before and After School Program begins at 7am and ends at 6pm. We transport your child to and from school in our JPLC vans. All vans are equipped with booster seats, emergency information, and cell phones for your child’s safety. Morning and afternoon snacks are provided. Homework help is available (by request), and arts & crafts, indoor centers, and outdoor activities are provided. You may choose Before School only, After School only, or both. “On the Right Track” Track-out Program: Our track-out is on the go! 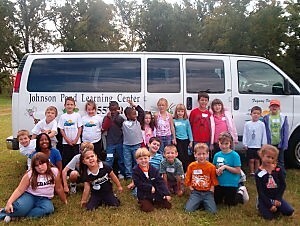 The group takes 2-3 fieldtrips a week. We have cooking projects and science experiments, bring our bikes, or wear our pajamas. Each day, all learning centers are open for your child to explore using their imagination and to socialize. This program is billed on a weekly basis, (fieldtrips additional), and has several options available. Summer Camp: Summer Camp Programs are for all school-age children. This program begins in June, at the completion of the traditional calendar school year. Campers enjoy activities geared toward a weekly theme, field trips, sports instruction, aquatic activities, and special visitors. We offer two Summer Camp classrooms, so children can be divided by age or activity. Children enjoy learning new things in an exciting, relaxing, and safe environment! *Track out rates will be charged weekly in addition to the before/after rate for any week your child is in attendance. Activity fees cover all field trips and ancillary expenses. **School day only children who are not picked up by 4pm, or are dropped off prior to 9am, will be charged for full day care for that week. Multiple child discount of 5% on higher tuition, for full-time school-aged programs only.